Lactic acid bacteria (LAB) have historically been used as starter cultures for the production of fermented foods, especially dairy products. Over recent years, new areas have had a strong impact on LAB studies: the application of omics tools; the study of complex microbial ecosystems, the discovery of new LAB species, and the use of LAB as powerhouses in the food and medical industries. The formation of biofilms by LAB. 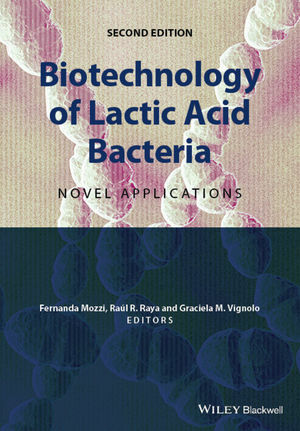 This book is an essential reference for established researchers and scientists, clinical and advanced students, university professors and instructors, nutritionists and food technologists working on food microbiology, physiology and biotechnology of lactic acid bacteria. Fernanda Mozzi, Ph.D., Raúl R. Raya, Ph.D. and Graciela M. Vignolo , Ph.D are colleagues at Centro de Referencia para Lactobacilos (CERELA) -CONICET, Tucumán, Argentina. Drs. Mozzi, Raya and Vignolo are engaged as Scientific Researchers by the National (Argentinean) Council for Scientific and Technological Research (CONICET). Graciela L. Lorca, Taylor A. Twiddy, and Milton H. Saier Jr.